The Kinetic Alpine Pant is a superlight waterproof pant made from Rab's own Proflex fabric that bridges the gap between hard- and soft-shell. This is a highly stretchy fabric with a soft supple feel that won't impede your movement, sized for a slim, streamlined fit. The Kinetic Alpine Pant is a superlight waterproof trouser made from Rab's own Proflex fabric that bridges the gap between hard- and soft-shell. This is a highly stretchy fabric with a soft supple feel that won't impede your movement, sized for a slim, streamlined fit. 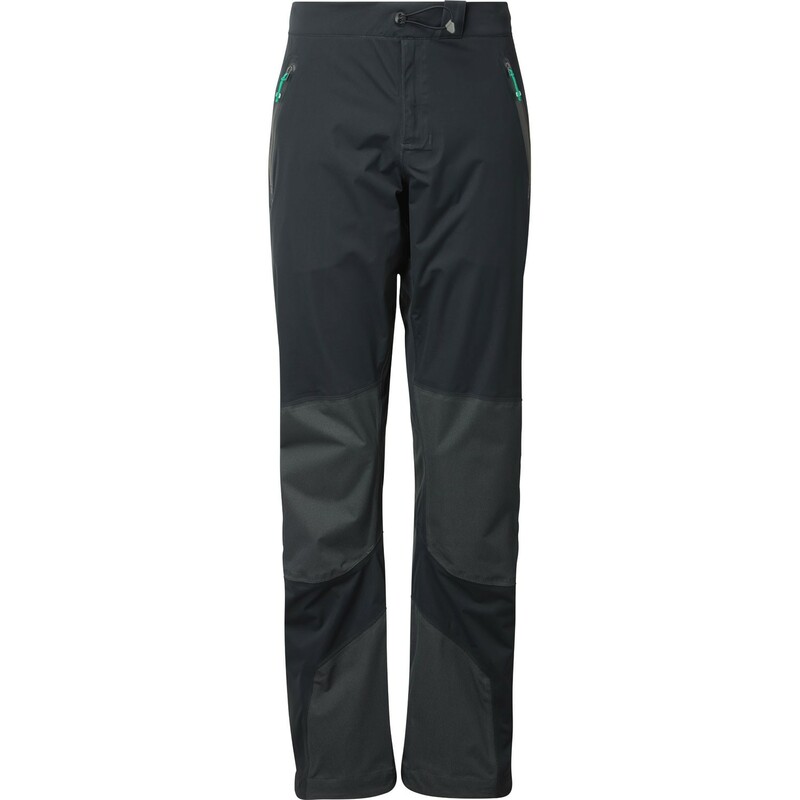 Designed for day-long use in challenging, changeable weather conditions, the Kinetic Alpine Pant has a waterproof component hidden inside: a high performance, flexible membrane with a waterproof measure of 10,000mm and an exceptional breathability level in excess of 35,000cc/sqm/24hrs. The outer and inner layers of Proflex™ are engineered, high gauge knits – the outer treated for water repellency, the inner wicking to move moisture rapidly through the system. *From neck to wrist along the top of the arm. Designed to be versatile, our Regular Fit garments are not closely fitted for cross-seasonal use and multi-layering. Garments are contoured with room for movement. Our Slim Fit garments are designed to be worn closer to the body or over layers such as base-layers and light mid-layers. Close fitting for maximum performance when moving dynamically. Expedition garments are designed to be worn in colder conditions and over more layers of clothing than our other fits and as such are oversized slightly to allow for this.